I AM GRATEFUL TO IRWIN BROWN, AUTHOR OF INNISMORE HALL, WHO WAS BORN AT INNISMORE HALL AND LIVED THERE UNTIL 1955. I ALSO WISH TO THANK HENRY SKEATH. ROBERT HALL, born ca 1771 (said to come from Enniskillen, County Fermanagh), carried out business in the city of Dublin. Mr Hall prospered and enjoyed an income of £5,000 per annum. 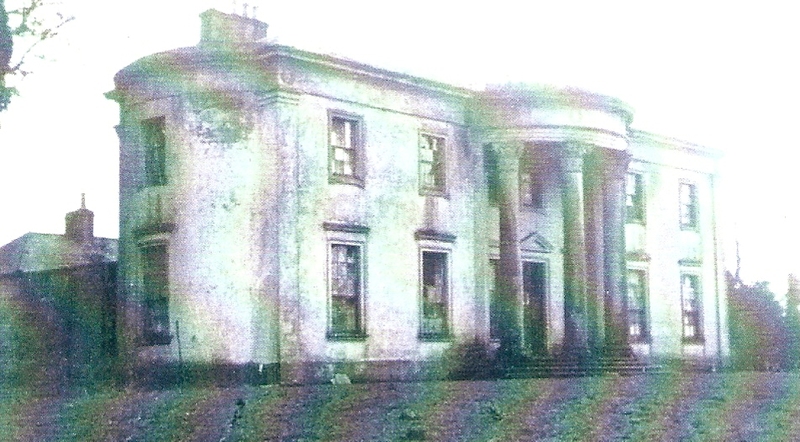 In 1828, he purchased an estate in County Tipperary, thereafter called Merton Hall. He also owned land in counties Wicklow and Louth. Mr Hall was murdered by a farm labourer on his farm at Uskane, 1841, following a dispute. 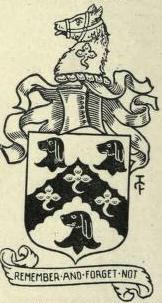 RICHARD HALL JP (1805-), of Innismore Hall, County Fermanagh, and 12 Kensington Gate, London, High Sheriff of County Fermanagh, 1842, who married Maria, daughter of Major John Devereux, of Killimer Castle. 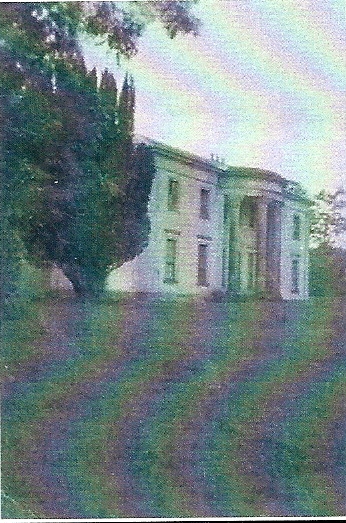 Mr Hall purchased a farm and buildings at Derrybrusk, County Fermanagh, in 1839 (Derrybrusk House had been damaged by fire). In the 1840s, he built Innismore Hall, probably to the designs of Sir Richard Morrison. He bequeathed his estate to his wife Maria (who died in 1887) and as her eldest daughter, Mrs Elizabeth Porter, had died, intestate, in 1887, the residue of the estate passed to the other daughter, Marion Gray Hall (as stated in the will). Marion Gray would have become the owner in 1887. His younger daughter, Marion, born ca 1849, wedded George Gray, a London artist. ELIZABETH JANE HALL (1845-87), married, in 1863, John Grey Vesey Porter JP DL (1818-1903), of Belle Isle Castle, High Sheriff of Fermanagh, 1844. The marriage was desirable from the financial point of view and because the Belleisle and Innismore estates 'marched'. But it was childless and, it would seem, unhappy, partly on account of the disparity in their ages, and partly (it may be conjectured), on account of Porter's cantankerousness. In September, 1870, Mrs Porter formed an illicit liaison with one Captain Leonard Poynter of the 16th Regiment, then stationed in Enniskillen. Porter found out about this affair in December and, with the aid of his butler and other men-servants, lured Captain Poynter to Belleisle, where (according to Crawford) he was considerably knocked about, had his hair and one side of his luxuriant moustache cut off, and was then severely horse-whipped by Porter personally. Captain Poynter brought an action for assault and battery against Porter and claimed damages of £10,000. Porter would probably have been well advised to have settled out of court. Instead, a packed Dublin courtroom was regaled for almost a week with salacious details of the doings of Mrs Porter and Captain Poynter at Belleisle. In the end, the jury - obviously composed of stern Victorian paterfamiliae - found for Captain Poynter, but awarded him a farthing in damages. Shortly afterwards, Porter successfully sued for divorce. His wife and her parents retired to London, where Mrs Porter died, still only in her early forties, in 1887. In 1871, Mr Porter divorced his wife and she returned to live at Innismore Hall. By 1873, the family had moved to London and resided at 9 Norfolk Street, Park Lane. Marion Grey sold to the estate to John J West. In 1913, the property was bought by Albert Ovens Brown, who sold it in 1966. 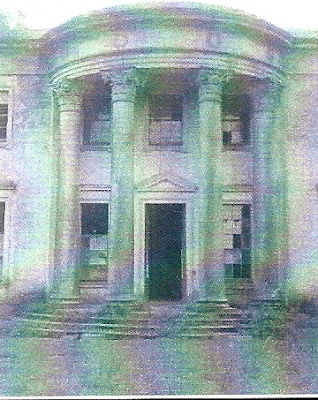 INNISMORE HALL, near Derrybrusk, County Fermanagh, was a two-storey, seven-bay house of ca 1840. One side elevation had a curved, one-bay bow. It had an imposing entrance front comprising a tripartite bowed portico of four large Corinthian columns. Steps led to the front porch. The house was cement-rendered, the outer walls being two feet thick. The reception rooms had marble fireplaces. Upstairs, there were three principal bedrooms, two of which had dressing-rooms attached. The gate lodge, now demolished, was single-storey, three-bay front; hipped roof; pedimented portico over a doorway supported on two Doric columns. Innismore Hall was demolished in the 1950s. 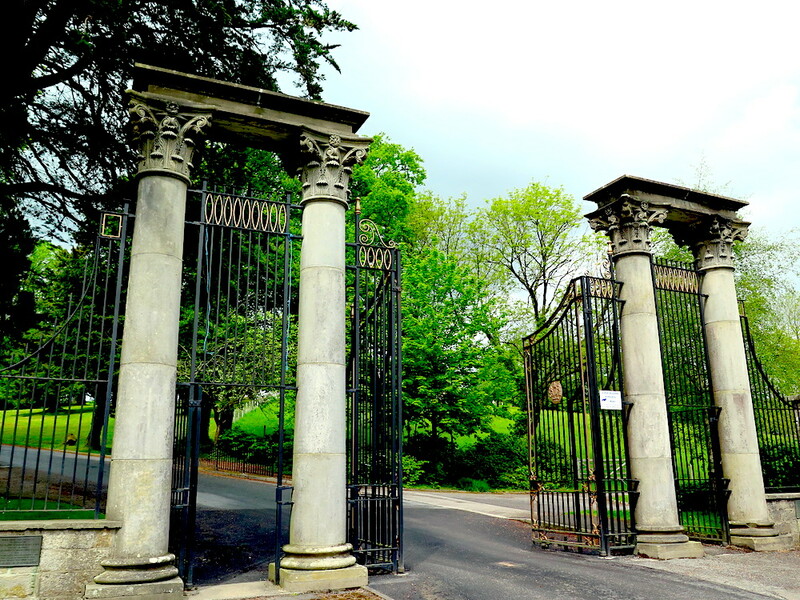 Its great Corinthian columns, however, survive at the entrance to Portora Royal School, Enniskillen. 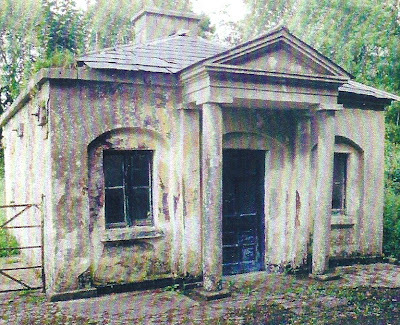 Irwin Brown has published Innismore Hall.